By making the computing units even smaller, we are trying to bring these intelligent devices much closer to its master, the human beings. From PC to laptops to smart phones, the pioneers have made billions of dollars from their customers, who happily give up the greens for those latest fancy toys. Now some are trying to replicate the success by offering a smaller accessory: the watch. Samsung is on its way, and there would be a number of well-known names getting on board, too. I am not sure how people would react to the next-gen watches, but I know I am not quite into the thing. "The real estate on a watch is too small". The success of tablets and smart phones is based on the fact that these devices serves as platforms of information, which is displayed on the screens. What would you expect to see on the screen of a watch? The content you can get from a watch size screen is limited, thus the service. People buy an iPad because they can browse websites, play games, watch videos, read books, holding conferences...you name it. If the iPad were to only show you your blood pressure and the time, are you going to buy one? I am not saying the smart watches can only show time and tell some basic biological statics, but the 'window' of the information on the device is too small to provide enough interesting services and content. Now it is not uncommon to find a 6-inch mobile phone in the market, why do you think they are working so hard to make the screens bigger and bigger? People are so used to the smart phones, and smart glasses are emerging. When I bought my first laptop, I know it will do most of the works my PC is capable of. The moment when I got my first tablet I love the way that it turns my need for a lighter laptop into reality. My smart phone? I am glad that I don't have to take the bulky pad on a bus when what I need is just to read some news. What I try to say is that a new device should be able to meet people's need for information, compared to the current generation, in a better way. I don't see this happening on watches, which are just much smaller phones that are bound to your twist. Worse even, the customers know there is such a thing called the smart glasses. They are small, too. However, the screen is insanely closer to the eyes. That means given some development in technologies, the screen could provide more information with the increased resolution, and still remains the same size! It is in this very moment that the smart watches come to the world: they are not able to compete with the smart phones on providing information to the users, and the spot light on their little bodies will soon move to the smart glasses: They are equally small, if not smaller, and you get much more information from the new guy! 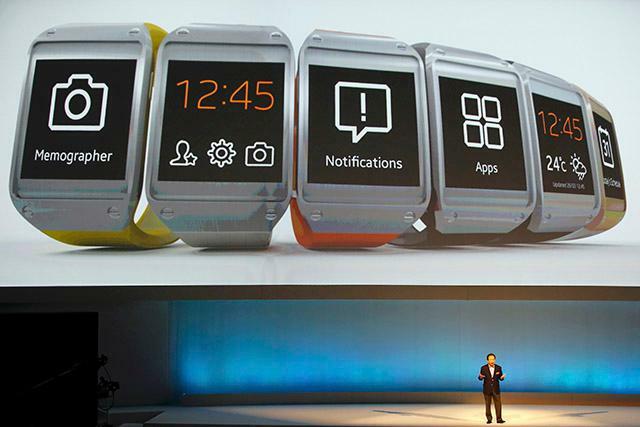 That will be when smart watches get off the stage, people just don't feel interested in them anymore. "Frankly speaking, who wears a watch now?"" If we had a room full of 10 to 20-year-olds and we said, 'Everyone stand up that has a watch,' I'm not sure anybody would stand up. I am not a fan of him but I must admit he has a point here. People are not wearing watches anymore. A watch has to be better than an interesting new device to change the habit. Take a look at the smart phones, they replace the 'dumb phone' easily because many people had a phone, and the new ones are nothing different but much 'smarter'. people like the glass? Very likely, because we wear them all the time! Many of us have more than one glasses because they are cool in different ways. You drive with it, read with it, eat lunch outside with it. So how about making your glasses a bit smarter? Why not?! But it would be a different story for the watches. Well all I have to say is that I don't like the idea of smart watches, and I feel very interested in seeing how far would it go. Would I read this post on a watch? No, I hope I could do so with a smart glass, though.